Performer and Co-writer: Jen Harmon. 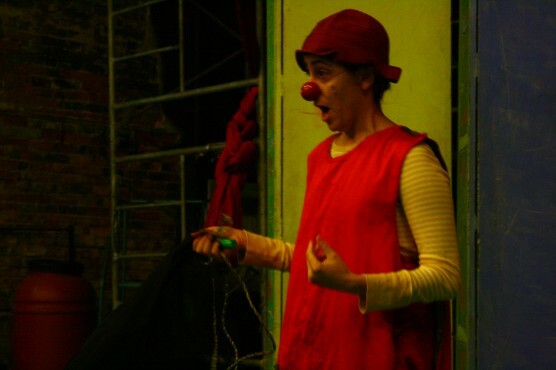 Sue Morrison and Jen Harmon worked together to develop material for a solo clown piece. In this workshop they investigated presence in the performer utilizing personal narrative as a place of departure for larger truths about the human condition.